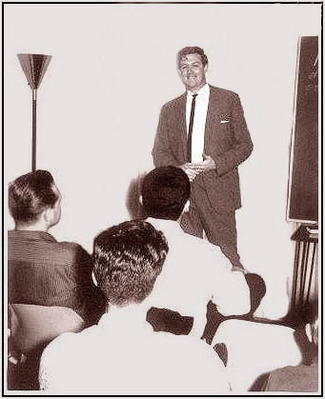 Introduction: Alan C. Walter (1935-2009) is the founder of Knowledgism. Before that he was a highly successful Scn Mission Holder with a string of missions. In the early 60s he was a very busy review auditor at Saint Hill, and in fact developed the first correction lists for LRH. This is from an April 1997 post by Alan to a Controlled Remote Viewing group. I retrieved it today from their archive. Alan is noted as the “poster” here on iCans as I wanted to show him as the author. I will use the term Attention Bit Locator or ABL to describe the form of electronic measuring devices I use. In 1965, I did a series of experiments with a form of Attention Bit Locator with a partner. Both of us were hooked up to seperate ABL’s, she had me on her ABL and I had her on my ABL. We used a one handed electrode. What was observed was the facilitator would always manifested the same as the client, same resistence indications and needle manifestations. We even used long cords, and processed in separate rooms, noting down the needle manifestations, and resistance indications. They were usually identical. This was so successful that I used to facilitate all my Executive Directors using this method. I had ten Centers at that time: Dallas. Boston. St. Louis. Kansas City. New York. Beverly Hills. La Jolla. New Orleans. Charlotte. Atlanta. (I sold these Centers in 1970.) As you can see these offices were several hundreds of miles apart. What was amazing, the thought that occurred in Boston also occurred in Dallas. (My HQ.) and registered on the Attention Bit Locators in both locations simultaneously. I continuously facilitated all of those execs using this method. Basically I kept them in a High Green Zone, using two-way communication, Attention Bit Locators and fundamentals. This was where and when I first began to develop the Clean Slate method of handling. And the Zones technology. Today we still use these devices and do remote facilitation, often internationally. By having the verification of the Attention Bit Locators, I was able to develop other procedures that validate the “truth or accuracy” of a situation. I realize this is not CRV, but it does validate the ability to measure thought and intention across great distances. Thanks Rog. I spent 20 minutes hunting around for it online but couldn’t find it anywhere.